How do I share access to my DEVIreg Smart thermostat with other users? The DEVIregTM Smart system allows you to share a “House” (Connection and setup of one or more thermostats at same location) with other persons, but before doing this, it is important to notice – that when sharing a “House” you also transfer full rights to manage or change your system. New user can install or delete thermostats. New user can share with new persons or delete current users. 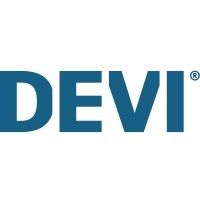 You share access to your installed Smart thermostats by pressing the three lines in the upper left corner of the main screen in the DEVI Smart app. Then press [Share house] to open a page that will show you a code. The code will for security reason only be valid for 2 minutes. The person receiving the code should press [Receive house] and type in the code from sender. If this is not done within 2 minute timeframe, then sender has to create a new code and share.